The Lookout is a unique, new(ish) vacation home community on Lake Chelan. They had been growing steadily, but under the radar. With construction reaching a point of critical mass, the time had come to start building awareness on a broader level. 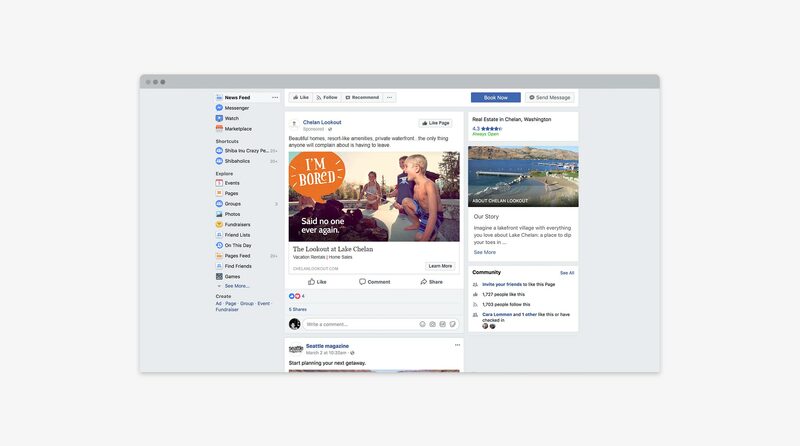 The problem is that communication around vacation destinations tends to be full of clichés or laundry lists of features… neither of which stir people’s interest. Our first task was helping them dig into what really sets this brand apart, and then bring that message to the world. Our first insight was to help them narrow their audience. The unique design of the community is perfect for active families. We identified an energy and vitality in the people who love The Lookout, so we crafted a story built around access, activity and the sheer magic of a day on the lake. 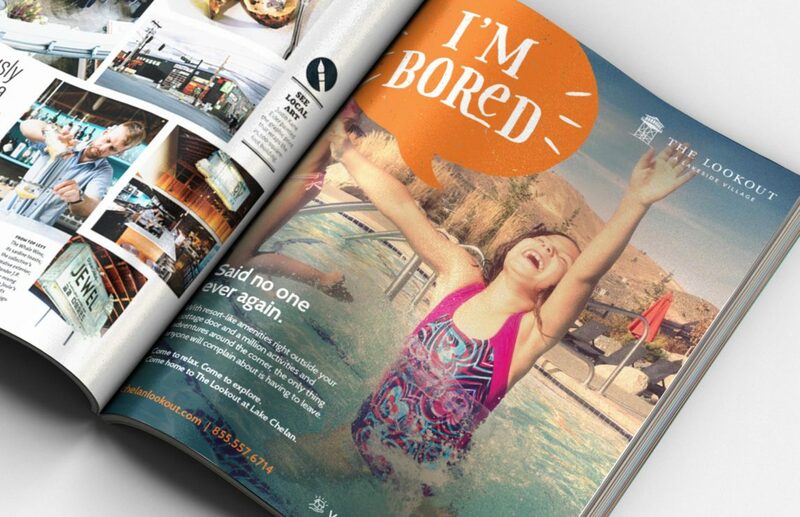 We brought this new message to life in a campaign that spanned email, social, print and digital, with a focus on family fun and getting closer to those moments of exhilaration and relaxation. 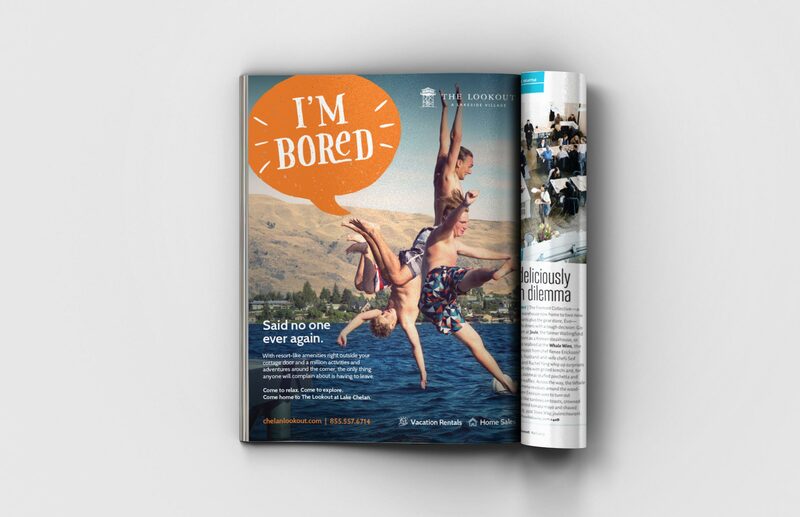 The “I’m Bored” campaign is a strong departure from traditional vacation marketing, setting a playful tone and grounding the audience in themes of family and fun. There’s something magical about a day at the lake. You can fit in a zillion different activities, and yet the pace of life still seems to slow down. Everyone is free to find their own adventures, and yet you feel more connected. Hours blur together, and yet the memories don’t fade. It’s an escape from your normal life, but you end up feeling more like yourself when you’re there. The Lookout is a community that has been purpose-built to bring your family closer to everything you love about Lake Chelan. This is a place where adventure is right outside your door, 365 days a year. Where kids can roam free, bouncing between beach and bocce, pools and pickleball, and your family can connect with what they love to do and with each other. Where you can sit on your porch at the end of the day, raise a glass to the neighbors, and take in sweeping views of the lake and hills that somehow never get old. Come to unwind. Come for adventure. Come home to The Lookout at Lake Chelan. 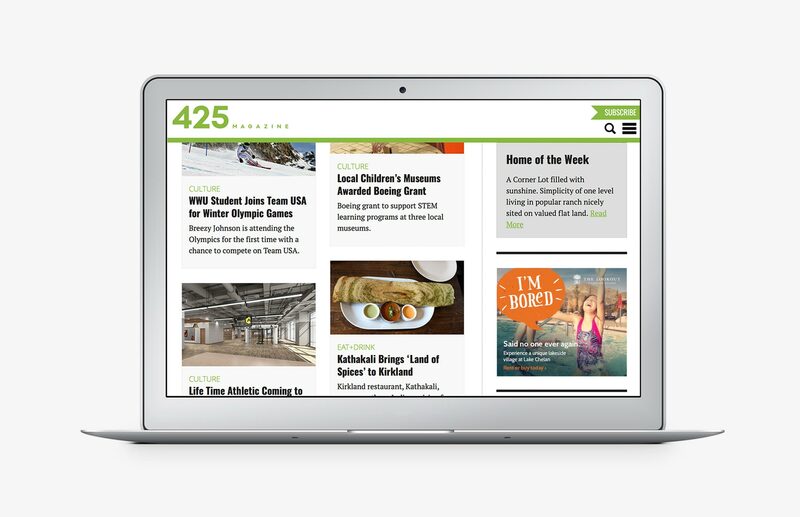 The Lookout saw a 25% increase in traffic to their site after our campaign launched.